I agree. And a boost in contrast would make it even better. Very cool shot. 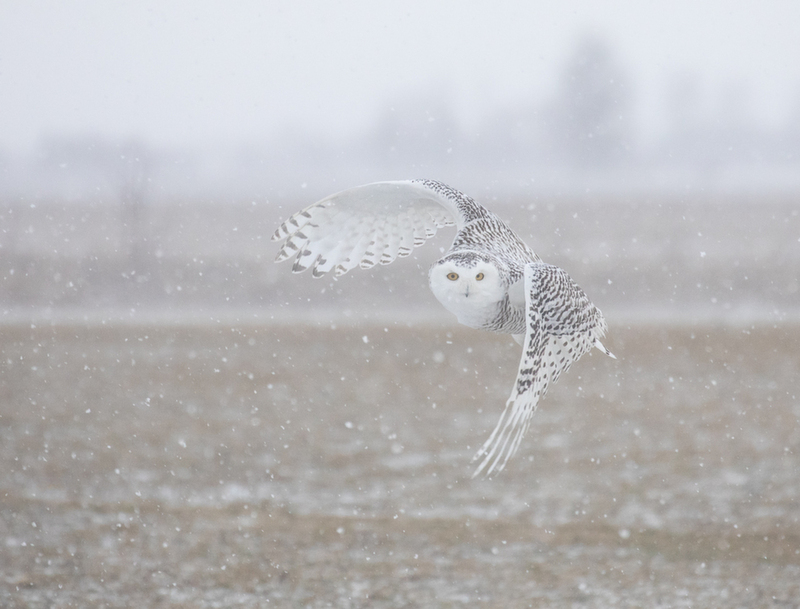 I like photographing owls in snowy conditions too. Well done, Rachel. The boost in contrast looks great. Great shot in the snow- I like the second version. Snowy Snowy! Oh yes, I like this shot a lot. 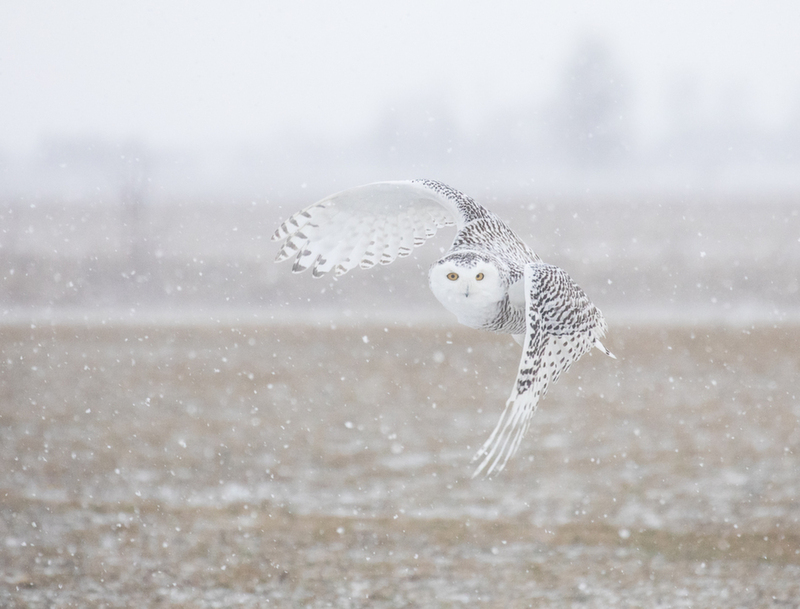 It shows the snowy mood nicely. What a beauty. Nicely done Rachel!